Presented by Wayne Levin, President, Predictum, Inc. This course begins by familiarizing attendees with JMP, JMP data tables, analyses, and various utilities. 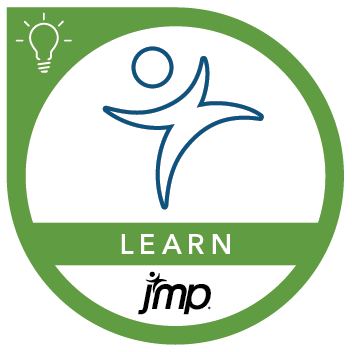 Using JMP as a platform, the course continues with how to apply engineering and scientific approaches to problem solving, improvement initiatives, and design questions by focusing on descriptive statistics, graphical analysis, hypothesis testing, analysis of variance, and model building. The course combines the use of JMP with basic, intermediate, and advanced analytical methods. Interactive illustrations enable course attendees to understand statistical concepts by engaging and experimenting with them. To help guide them, attendees are also provided a set of flowcharts that integrates JMP tools into a process that shows them where they are, where they are going, and when they have fully completed the analysis. This course provides specific advice on how to exploit these methods in the real world. Engineers, scientists, and other analysts attending the course will come out prepared to take on problems and reveal exploitable insights. Import and arrange data for analysis, including JMP data table productivity features. Handle data format challenges with a variety of JMP tools. Create summaries, tables, charts, and graphs. Solve a variety of scientific and engineering problems from single to multiple factors and responses. Learn how to recognize and deal with statistical challenges. Describe and analyze the distribution of data. Understand issues related to sampling, and calculate appropriate sample sizes. Generate and analyze statistical intervals and hypothesis tests to make data-driven decisions. Complete univariate, bivariate, and multivariate analyses using both continuous and categorical factor variables. Identify problems with analyses, such as violating statistical assumptions, and how to deal with them. Before attending this course, you should have a general familiarity with computers. There are no prerequisites, but familiarity with spreadsheet software is helpful. Tolerance intervals establishing expectations and specifications. Combine continuous and nominal factors.